It changed the world forever. On the dawning of Easter’s first morn, the disappearance of the body of Jesus was a startling reality that frightened and confused His first disciples. Can you imagine approaching the tomb, fully expecting to administer the formal burial preparations of Jewish custom, only to find Him missing and strange men (angels) telling you he is alive and to go tell others? What a shock to their expectations. And that is what God continues to do, today – “shock our natural expectations with His supernatural acts of grace and power. Well, they did just what they were told! That is they believed and they told others. And they went, with the expectation that they would see Him again, at the designated time and place! Now, 2000 years later, the same sense of urgency remains, the same request – to believe, to go, to tell, to wait upon Him that we may see Him. Each Easter, I am reminded of the great love of God, the great sacrifice, the great miracle of “The Christ’s” resurrection – all of which leads us to the great miracle of rebirth, reconciliation and rejoicing; because of God’s love – Jesus’ saving grace. Each year, then, my own sense of urgency, faith and commitment are renewed by His magnificent story. He uses it to re-energize my mind, renew my soul and redirect my priorities. Ahh, I feel born again, again! So, once again, I decide to believe, to go, to tell, to wait upon Him till I get to see Him. But I must ask you, what do you think, how does the Easter story manifest as a reality in your life? And what should the “aftermath” action be for us as a mobile ministry? That heaven was open to all who received Him; resurrection for believers was a reality! All that was left to do was go tell the world, this great, gospel news and groom believers to follow Him. That is called discipleship. And that is not only the stated mission of Master’s Men (Our mission is to lead men to Christ, and disciple them toward maturity in Christ, so that they develop spiritually and become leaders in their sphere of influence”), it is our whole-hearted pursuit; operationally. Now, as I move into my 40th year doing this – reaching men through an intentional effort that is founded on a spiritually focused relationship and sticking with a man for a long time, by sharing life with him, as a companion follower of Jesus – I’ve discovered that disciple making isn’t a program, it doesn’t need curriculum, or a building, or a seminary education. Those are adjunctive things; tools that are helpful but not essential. A relationship that walks alongside a man, through life, that is the essential thing. I repeat, tools are not what marks a discipleship lifestyle; friendships that pursue a relationship with the Living Jesus, is. Action item: Please join us in prayer, daily, as we set our lives and year before the Lord in prayer. 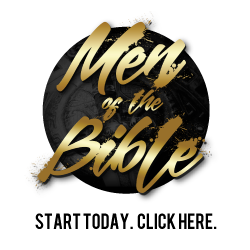 Then continue with us as we move out into our communities to reach out to men,intentionally seeking to introduce them to Jesus and helping them grow in a relationship with Him, as we walk alongside them through life. That is our sole, simple, occupation this year. We ask God’s blessing for our success in making disciples. And we ask His blessing on you for joining us in this great occupation.